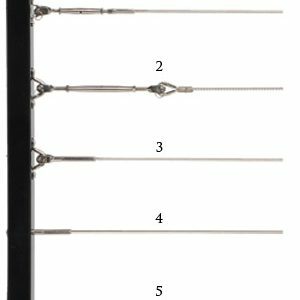 All-ways Rigging Gear stock a range of quality bulustrading wires and configurations to create effective and attractive barrier solutions for all internal and external applications. 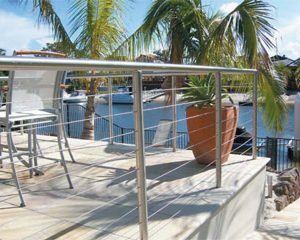 Be it internal stairs, mezzanines, landings, external stairs, decking, pergolas, fencing, shade sails, marine applications or jettys we have the right set of tools and solutions to help you with your balustrading configurations. Our components will ensure that your balustrading stands out, is durable and serves its purpose. We provide products as individual components or complete assemblies to enable self installation. You may get in touch with us today to discuss more about your balustrading needs and requirements. All-Ways Rigging Gear stock a range of rigging hardware equipment including rigging accessories, turnbuckles, rigging screws, wire rope grips, thimbles, shackles and snap hooks. We offer a range of complementary services to help train your team, maintain your products, test your products and repair/service products either onsite or in the workshop. All-Ways Rigging Gear prides itself on a willingness to solve even the toughest heavy lifting challenges with engineered specialty products and services. Address: 279 Princes Highway, Unanderra, N.S.W., 2526.